I’ve just received the new Patrones magazine, and, after a few issues filled with shorts and vests in the middle of winter (??? ), I’m happy to say they’re back to some more wearable styles! I don’t think this issue is quite as good as 272, but that’s not to say it’s without its gems! I’ve added the technical drawings and pattern pieces to their magazine photos below so you can get a better idea of the pattern. I find it quite difficult to discern the details from just a fashion shoot alone, so I always need to flip back and forth to the tech drawings! 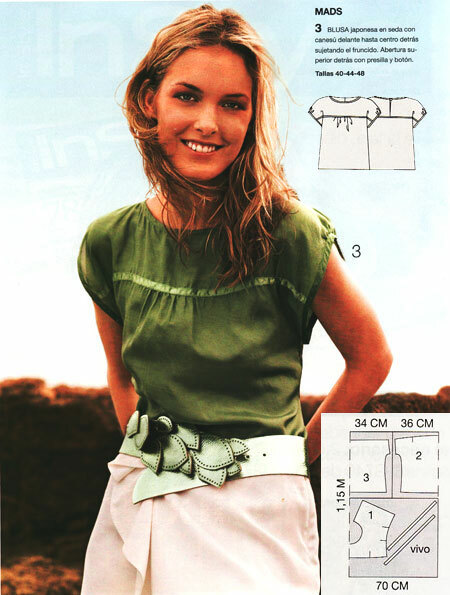 First up, I love this green yoked blouse from the magazine cover. 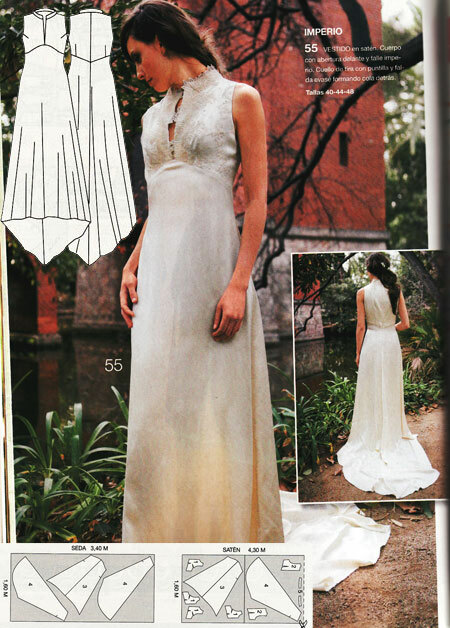 It’d be a great use for small lengths of silk charmeuse, and the ribbon across the front is a good way to break it all up, too. This draped, twisted tank would look so effortlessly classy under a business suit… And since it’s lined (much in the same way as a bubble skirt), you could do some interesting things with a gauze or sheer outer layer. Really? A full naval commandant’s suit? For an 8 year old? Am I missing some connection between the navy and first communion? 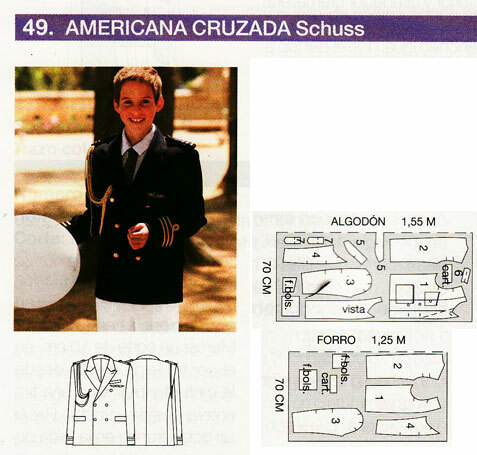 Any Spanish Catholics care to fill me in as to why they’ve got this and a stereotypical sailor suit for the boys? I know finding Patrones to buy is often tricky, but there are still a few copies of this issue left on eBay the last time I looked, and they’re not too exorbitant if you take into account that there’s about 60 patterns here. And if you’re wondering what’s in a Patrones, I compared them to Burda and KnipMode a while back if you fancy a peek inside.